Planning on buying your cat a holiday gift (or two or three?) It's "for them," but it's really for you - because you're going to be the one laughing your head off once you see your cat playing with any of these gifts. So your cat can't go to space (yet) - but who says your feline compadre can't pretend? If your cat doesn't like it ... oh who are you kidding - your cat will love it! Now your aspiring MC-Kitty can practice his remixes without having to go into the studio. Her Majesty can get high on catnip and then go make a sweet mashup on the turntable you just bought them. 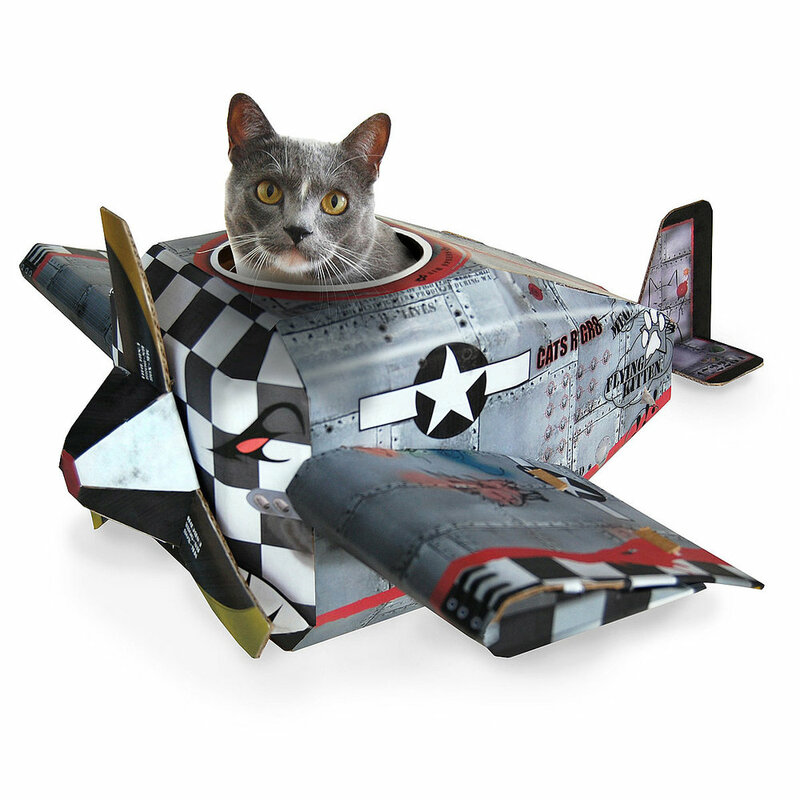 Because clearly, all cats are just waiting to be launched into space, here's another aviation-themed cat vessel for your favorite furry to chill in. Mar 31 Cat Stats: More Men Are Cat Owners In 2017 Than Ever!